Lavalin (Lámh álainn, Beaumains) Nugent was born in 1569 at Walshestown near Mullingar, Co. Westmeath. At an early age he was ent to France to receive an education which was not possible in Ireland due to the anti-Catholic laws. Before the age of twenty he obtained the degree of doctor at the Universities of Paris and Louvain, and he occupied chairs in both universities. He had a knowledge of Greek and Hebrew, and could speak a number of European languages fluently. In 1589 he joined the Capuchin Order in what is now Belgium, taking the name of Francis. In due course he was professed and ordained priest. Towards the close of 1594, or the beginning of 1595 he was sent to France where the French Capuchin provinces were being formed and established communities at Metz and Charleville. Later he helped to establish the Order in the Rhineland. But his heart was set on establishing the Order in his own country and he petitioned the Holy See for permission. Pope Paul V nominated him vicar Apostolic and commissary general with full power to establish the Order in Ireland. The friary at Charleville became a centre for training friars for the Irish mission. Irish friars from all provinces were sent there, and it became the novitiate and alma mater of the province of Ireland. In 1615, Br. Stephen Daly (1574-1619) became the first Irish Capuchin to set foot on his native land. He was followed by four other friars. At first they lived separately wherever they could. Finally, in 1624, Francis was able to found the first Capuchin community in Dublin in Bridge Street, Dublin. It seems they made a good impression, for in 1629 Dr. Fleming, the Archbishop of Dublin, wrote to the Irish clergy a letter praising the Capuchins, especially for "their learning, prudence, and earnestness". But in 1630 the house was seized by the Lords Justices and conferred upon the University of Dublin (Trinity College). The friars, however, remained in the country, and were gradually reinforced in numbers. In 1631 Br. Francis founded a community in Slane, Co. Meath; but, owing to failing health, he retired in 1631 to Charleville where he died on the Feast of the Ascension, 1635. Still the Order continued to grow. In 1637 the Capuchins established themselves in Cork and by 1642 there were fifty one friars, with houses in Dublin, Slane, Limerick, Mullingar, Drogheda, and Cork. In 1643 they set up a community in Kilkenny, and in 1645 a hospice in Wexford under Br. Nicholas Archbold, who came to Ireland in 1626. In 1649, Archbishop Walsh wrote to the Holy See from Kilkenny praising the Capuchins. This was the year that Cromwell arrived in Ireland. Wexford was sacked and Nicholas died of plague the following year. Under the Cromwellian regime a new wave of persecution ensued, in which religious were especially targetted. Br. Matthew Fogarty was imprisoned in Clonmel along with an Augustinian, Fr. William Tirry, and four diocesan priests. The two religious were sentenced to death and William was hanged on 12th May 1654. Matthew's sentence, however, was commuted to banishment and by August that year he was in France. He was busy planning his return to Ireland (and almost certain death) when he died of fever in 1655. In spite of persecution, the Order continued to grow. By 1733 the Capuchins had fourteen houses in Ireland and two in France, and were that year made a "province". In 1754 there were 144 Capuchin religious in the country. This marked a high point in their history, but then there was a decline in vocations and many of the houses were closed, including those in Dublin and Kilkenny. By the middle of the next century, there were barely twenty friars left. Mealladh go mór iad, Órd na gCaipisíneach. then the Capuchin Order is greatly misled! Among the Capuchins who had a significant impact on the life of the people was Br. Arthur O'Leary, from Fanlobbus, Dunmanway, Co. Cork (1729–1802). Arthur went to France as a young man and trained as a Capuchin in St. Malo, Brittany where he was professed and ordained a priest. He remained in France for many years. This was a time when Britain and France were locked in a series of wars, resulting in large numbers of prisoners, soldiers and sailors, being held by each side for long periods. In the days before the Red Cross, this involved great hardship and suffering. From 1756 to 1762 Arthur served as chaplain to the many British and Irish prisoners on French soil. In 1771, Arthur returned to Ireland and settled in the friary at Blackamoor Lane on the south side of Cork, where he had a chapel built. About this time communities were re-established in Dublin and Kilkenny. All his life Arthur worked for peace and religious toleration, writing many pamphlets to defend the Catholic faith against ill-informed writers, preaching against violence, and appealing for mutual respect and peace among people in spite of religious or political differences. His striking personality (he stood six feet tall), personal charm and sense of humour won him many friends of all religions. In 1789 Arthur moved to London where he served as chaplain to the Spanish embassy and also ministered to the growing population of Irish Catholics, for whom he built St. Patrick's Church in Soho Square. To the end of his life, Arthur campaigned for the repeal of the penal laws, leading to Catholic Emancipation; but he did not live long enough to see that dream realised. It was not until 1829 that this was granted. He died in 1802. Another Capuchin had an even greater effect on the life of the people, not only in Ireland but in Britain and America: Theobald Mathew. 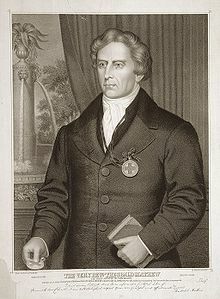 Theobald was born at Thomastown, County Tipperary, on October 10, 1790. He received his schooling in Kilkenny, then moved for a short time to Maynooth. From 1808 to 1814 he studied in Dublin, where in the latter year he was ordained to the priesthood. After a brief period of service at Kilkenny, he was transferred to Cork. He soon began to make an impact on the life of the city. He helped the poor and the sick, served on several committees and hospital boards, championed workers and provided instruction for children. At the time, there was no Catholic cemetery in Cork. With funds from generous contributors, Br. Theobald bought the botanic gardens which had fallen into disuse, and turned it into a cemetery (now St. Joseph's Cemetery). In 1832, he laid the foundation stone for the Church at Holy Trinity. (This was not completed until 1850.) But what won Theobald Mathew international acclaim was his temperance crusade. "Father Mathew", as he was (and is still) known, campaigned against the destruction that persistent drunkenness was wreaking among the people. He launched a Total Abstinence campaign and won over thousands of people to take "the Pledge". The transformation that this brought about had long term effects in social and political terms, for, it has been said, together with the mass campaigns of Daniel O'Connell, it restored a sense of dignity and self-worth to people who had long been ground down in degradation and hopelessness. Statues were later erected in his honour in Cork and Dublin. His memory is celebrated in this Ballad of Fr. Mathew by Cliff Wedgebury, and in this Irish poem Duain Chuimhne An Athar Tiobóid Maitiú, by Tadhg Ó Donnchadha ("Tórna"). After Father Mathew's death in 1856, the movement lost a certain impetus, but later there was a renewed drive to promote total abstinence. Fr. James Cullen, a Jesuit, was a strong advocate, leading to the founding of the Pioneer Total Abstinence Association in 1901. The Capuchins also revived the legacy of Father Mathew and between 1905 and 1911 alone, issued one million pledges. 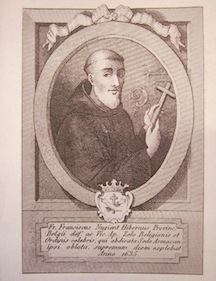 In spite of such prominent friars as Arthur O'Leary and Theobald Mathew, Capuchin numbers continued to decline, and for a while the Irish friars were united with those in Britain. However in 1873, the Irish friars once again won "custody" status and were reformed as a "province", the "Province of St. Patrick" in 1885. In the succeeding decades the Order grew in numbers and took a significant role in the religious, social and cultural life of the country. The new century brought new challenges as well as new opportunities to the friars. "I have no hesitation in giving my opinion – that we ought to lose no time in accepting them (the missions). I believe there is a great future for our missions in this part of the world; we are not coming a day too soon, and it is an opportunity for the development on our Province that may never be afforded again." But Br. Thomas was elected to the provincial definitory (council) that year and had to return to Ireland. This left Br. Luke to carry on alone, until he was joined later by Br. Casimir Butler. Meanwhile, Br. 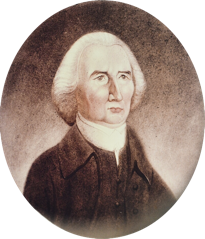 Thomas devoted himself to preaching, conducting missions and retreats, and in particular promoting temperance. Later he was elected provincial minister, and on the completion of his term of office was appointed Guardian in Holy Trinity, Cork. Image The First World War (known as the "Great War" before world wars acquired numbers) brought devastation to Europe. Many Irish young men joined the British Army, and some Capuchins went to serve as chaplains. When the Easter Rising broke out, Capuchins were also on hand to provide spiritual aid to those involved. The Capuchin priests, Augustine Hayden, Aloysius Travers and Ailbhe (Albert) Bibby attended the leaders of the Rising before their execution. At the first executions, those of Patrick Pearse, Tom Clarke and Thomas Macdonagh on 3rd May 1916, Aloysius and Augustine were not permitted to remain with the condemned men until the end, and registered a vehement protest. As a result permission was given in the later executions for the Capuchins to be with the prisoners at their last moments. and Dominic O'Connor (a nephew of Br. Luke Sheehan) provided spiritual comfort to Republicans – even though, during the civil war, the bishops had pronounced excommunication against the "irregulars". As far as the Capuchins were concerned, men acting in good faith and in daily danger of death were entitled to whatever spiritual comfort they could provide. On the same principles, Br. Dominic had already served two years as a chaplain in the British Army. In 1924 Br. Dominic was sent to the mission in California in November 1922 and two years later Br. Ailbhe was also sent to America. His health was poor and he died at Santa Iñes Mission on 13th February 1925, attended by Br. Dominic. Dominic himself died in Bend, Oregon on 22nd October 1935. Their remains were returned to Ireland in 1958. For more information on the Capuchins and the Irish independence movement, click here. These times were also a time of economic hardship. Prior to the Great War, in 1913, there had been labour unrest in Dublin, resulting in the founding of the Citizen Army to protect striking workers against the sometimes brutal assaults by police. The war had not led to any improvement in the workers' lot, and the ranks of the unemployed were swelling, following demobilisation. This was a time of great industrial unrest. Br. Thomas Dowling had studied social reform and threw himself whole-heartedly into the task of mediation, which was accepted by employers and Trades Unions alike. He became Chairman of the Cork Conciliation Board and in that capacity he presided over labour negotiations, for example between the tramway workers and the company in a crucial wage dispute which was successfully settled. He was also made Honorary President of the Cork and District Trades Union and Labour Council. In appreciation of his assistance, the Cork Trades Union donated a beautiful stained glass window to Holy Trinity Church, and in 1920, Cork Corporation conferred on him the Freedom of the City "in recognition of his invaluable services in preserving the peace of the City by his successful adjustment of industrial disputes". He also received an honorary Doctorate of Law from U.C.C. Later, Br. Thomas returned to America, where he died in 1951. None of the work of the Capuchins would have been possible without the generosity of the Irish people who down through the years contributed to their support and their apostolates. And neither would it have been possible without the work of those friars who in good times and bad kept the friaries going: the cooks, the infirmarians, the farmers, the gardeners, and, most of all, the questors, such as Br. Aidan Byrne, Br. Laurence Speight, Br. Seraphin Nesdale, Br. Felix Carroll and Br. Finbarr Donovan, who raised the funds to maintain our communities and sustain the various apostolates in which the friars were engaged. Even while the friars were struggling to maintain their presence in Ireland, with falling numbers in the middle of the 19th century, the call to serve abroad met with a generous response. In 1833, Brs. Thomas Sheehy and Thomas McCarthy went to Australia. They were followed in 1854 by Br. John O'Connell. Meanwhile in 1843, Br. Joseph O'Reilly became the first resident priest in Wellington, New Zealand. But it was after the re-establishment of the Irish province that missionary outreach really took off: In 1910, Br. 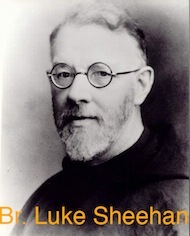 Luke Sheehan pioneered the Capuchin presence in California and Oregon, the area that was to become the Capuchin Province of Western America. Br. Sylvester Mulligan (1875–1950), having spent many years teaching theology in Louvain and serving as Provincial Minister and as a General Councillor, was appointed Archbishop of Dehli–Simla in India in 1937, a post he held until his retirement in 1950. He then returned to Ireland and died shortly afterwards. Br. Declan McFadden, one of the pioneers of the Zambian Mission, also served in India. In 1929, missions were established in Cape Town, South Africa, and in 1931 in Barotseland, what was to become the Western Province of Zambia. Br. 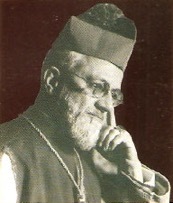 Sylvester Mulligan (1875–1950), having spent many years teaching theology in Louvain and serving as Provincial Minister and as a General Councillor, was appointed Archbishop of Dehli–Simla in India in 1937, a post he held until his retirement in 1950. He then returned to Ireland and died shortly afterwards. Br. Declan McFadden, one of the pioneers of the Zambian Mission, also served in India. Today, the Irish Capuchins continue to aspire to living the Gospel life in the footsteps of Francis, and the priorities of the first Capuchins are still the focus of our lives. In more recent times the Capuchins have found new ways of promoting peace, social justice and concern for the poor. In the early 1970s, moved by the plight of the many homeless people in Dublin, Br. Kevin Crowley launched the Capuchin Day Centre to provide a place where people could meet, have a meal and relax in safe surroundings. Since then the centre has been extended, first in 1996 and again in 2005. At present, supported by generous contributions from donors and a volunteer staff, the centre provides approximately 200 breakfasts and 450–500 dinners per day, distributes 1,000 food parcels per week. Showers and changing facilities are also available. A doctor calls three days each week, and a nurse, chiropodist and counselling services are also available. Having been appointed Chaplain to Dublin's flat-dwellers by the Archbishop of Dublin, Br. Donal O'Mahony founded Threshold in 1978, as a response to the difficulties people were facing in finding accommodation. He started it as a peace and justice project, focusing specifically on housing and homelessness. Since then it has evolved into the National Housing Charity. Later, in South Africa, Br. Donal launched the Damietta Peace Initiative, inspired by the example of St. Francis: this is a peace-making project based on principles of non-violence.